At Maynes IM, we are always looking for ways to improve the client experience and recently we invested in a tool that makes our tails wag furiously. The tool is called Redtail. Redtail is software which provides us the ability to schedule, track, and customize client strategy meetings, phone calls and a plethora of miscellaneous follow up tasks. Above and beyond Excel spreadsheet trackers, Redtail allows us to assign a multitude of tasks electronically to make sure no client detail is overlooked. For example, if you prefer seven month strategy meetings instead of six month intervals, we can schedule and track them. Whatever your service interval request may be, we can schedule and track it. If you have a financial task due on a specific date far out into the future, we can schedule and track that too to make sure you meet the deadline. Comparing Excel to Redtail is like comparing a single engine Cessna to a Boeing 787 Dreamliner. We're on the Dreamliner and our Waypoint Investment Process can chart your course for financial independence. 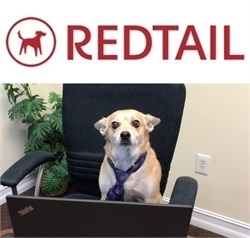 Please make our tails wag and let us know the next time you would like to come in for a strategy meeting. The most rewarding part of what we do is helping people make informed financial decisions. It's our honor to be your financial advisor and steward and we are looking forward to helping you face the future with anticipation not apprehension. p.s. On August 31, 2018 we will be celebrating our eight year affiliation with LPL Financial and have an exciting announcement! We look forward to another eight!